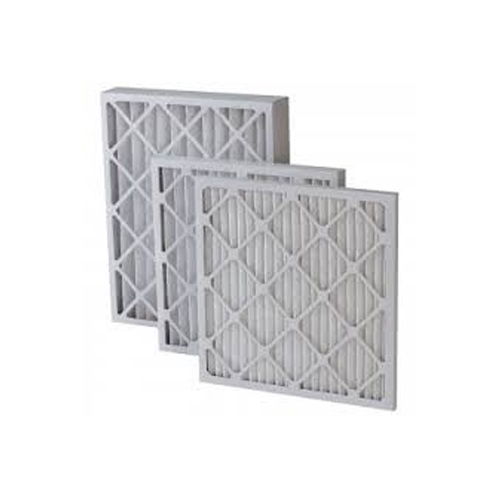 With the help of our distinguished professionals, we have been able to bring forth wide array Air Conditioner Filters. These products are manufactured using high quality raw material and other components that are sourced from reliable vendors of the market. Further, these Air Conditioner Filter are tested on various grounds of quality before being dispatching to our clients'' end. Also, these products are in adherence with the international standards of quality. Since our incorporation is in year 2002, we, “S.V. Engineering Work” are renowned organization engaged in Manufacturing and Supplying commendable range of Centrifugal Blower, Axial Fan, Air Flow Unit, Conditioning System and Handling Unit. Our product-line encompasses of Powder Sampling Booth, Clean Room Partition Door & False Ceiling, Laminar Air Flow Unit, Pass Box and Air Handling Unit. In addition to this, we also offer High Quality Air Handling Unit, Industrial Air Handling Unit, Single Skin Air Handling Unit, Double Skin Air Handling Unit, Floor Mounted Air Handling Unit and AHU Heating and Cooling Product. These products are widely appreciated in the market for its features like robust construction, easy installation, sturdy design, low maintenance, high performance, longer functional life, corrosion resistance, compact size and optimum strength. Known for the above mentioned features, these products find their application in various areas like industrial dehumidification, HVAC industry, green houses, horticulture industry, poultry, pharmaceuticals, electronics, safety glass, industrial complex and residential complex. Based in Mumbai (Maharashtra), India, since inception, ours is a Sole Proprietorship (Individual) firm. We have occupied a reputable position the industry with the aid of our dedicated, skilled and experienced professionals who put their efforts in developing our entire range. In addition to this, these professionals manufacture our entire range with utmost efficiency by utilizing sophisticated machinery and cutting-edge technology. Further, the manufacturing process is conducted at our in-house manufacturing unit, which is spread across a sprawling area and is well equipped with latest tools and equipment. Moreover, to give quality-approved range of products, we strictly inspect each product on various characteristics of quality to ensure defect-free range of products. Also, we have developed a spacious warehouse facility at our infrastructure to store the bulk consignments of our customers'. The entire range offered by us is manufactured following industries laid norms and guidelines. Owing to this, we have garnet a huge client base across the market and became well known names in short period of time. Under the able guidance and support of our mentor and proprietor, "Mr. Omprakash Vishwakarma", we have able to carve the niche for our organization. Our mentors possess long years of industrial experience, guided by which we have become capable to reach the zenith of success.